The William Mitchell Round Hand Dip Pen set is one of the classic tools for calligraphy. Available in a set of ten different sizes, these pen nibs have a very fine graduation of widths. They are ideal for many lettering styles for both professional and amateur use. Included in the box set are two slip-on reservoirs, multipurpose pen holder and magnet. 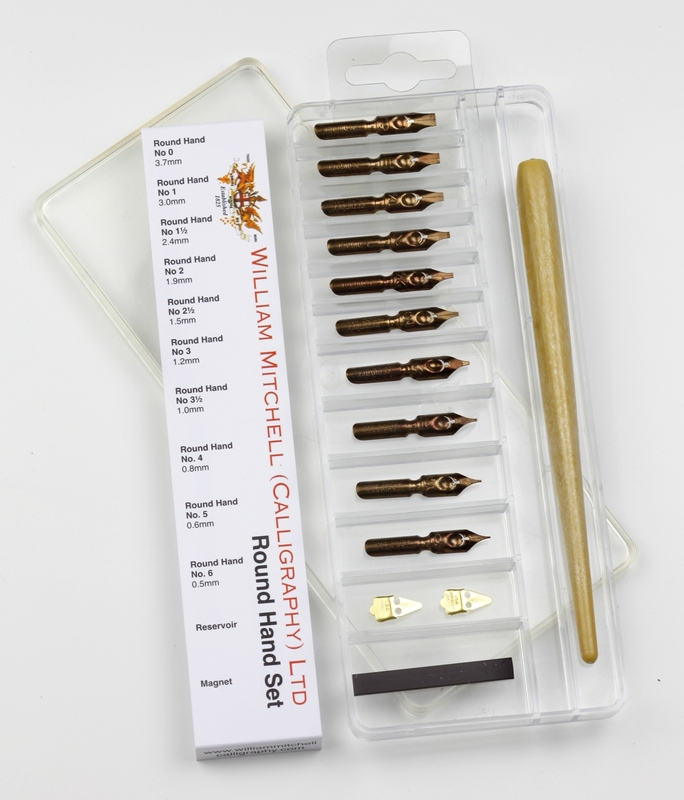 Suitable for all types of edged pen lettering including the Uncial, Gothic, Roman and Italic hands. Each pen has a protective laquer to avoid tarnishing.